Ships in 2-3 days from east coast warehouse. 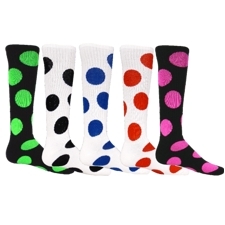 Bubbles Socks - great for soccer, baseball, softball, volleyball, cheerleading & all sports! All colors are available in women's size 9-11.